Her most recent solo CD English Sketches, featured in the Sunday Times top 10 world music albums for 2011. Possessed of ‘one of Britain’s finest voices’ (BBC Radio 4) she is also a fine songwriter and instrumentalist. Self-taught on double bass and guitar, she rarely appears these days without her trademark bass mandolin. She also nurtures a keen interest in music for children and presented music education programmes for BBC Schools Radio for six years. She was one of the last presenters of the iconic BBC Children’s Television programme Play School and together with Simon Mayor recorded six CDs for children. She has illustrated and co-written two picture books for Top That! Publishing PLC and The Musical Mystery Tour children’s song book, which was originally published by Faber Music. In 2008 she discovered her old student home, St Andrews Hall had undergone major renovations and reopened as The Museum of English Rural Life (MERL). Seeing this as the perfect setting for traditional music she proposed a series of spring concerts. “Songs, Stories and Traditions” begins it’s fifth season in July 2013 and was the catalyst for Hilary’s latest CD, English Sketches. Janet Giraudo was born in Stoke-on-Trent, England but moved to a small village in the South of France at the age of twenty where she has now lived for over thirty years, raising two sons, teaching English, becoming a fitness instructor and helping out in the Giraudo family vineyards and olive groves. More recently she developed an interest in painting and singing. “I recognise that in my family art and music have played important roles, first in my mother’s life and subsequently in my sister’s career. My mother dreamed of going to Art College but, coming from a large family supported by a widowed mother facing the financial restraints of wartime, at the age of fourteen her artistic talents were put to use painting ceramics by hand in the local pottery factory. My sister, Hilary James, fulfilled my mother’s dream by studying Fine Art at University and is now an accomplished artist and illustrator. She has also enjoyed a very successful musical career. 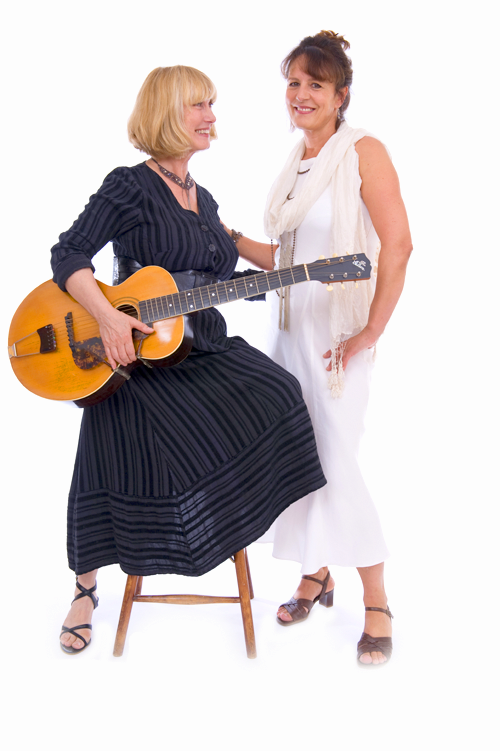 In Janet’s own eclectic website you can browse through a selection of her paintings, read more about The Two Sisters’ album. and there is even a section on olive oil! The Giraudo family now produces and sells some of the best quality organically produced olive oil in the South of France.